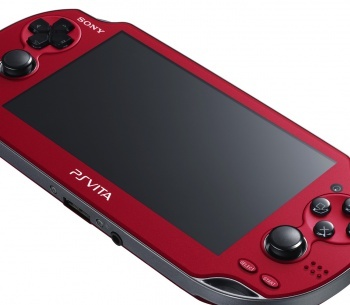 A survey by Sony has revealed how gamers feel about their Vitas and how they're using them. The PlayStation Vita has, for a long time, seemed condemned to an existence of doom and gloom. Consistently underselling and outsold by its competitors, Sony has had to slash its expectations for the handheld on several occasions. Only recently, following a Japan-exclusive price cut, have things seemed to turn around. Vita sales in the region have been on the rise and most recently, it even managed to temporarily outsell its more popular competitor, Nintendo's 3DS. Adding a bit more icing to this cake of pleasant tidings, Sony has revealed more good news both for the Vita and Vita owners. Speaking to IGN, Don Mesa, Director of Product Planning and Platform Software Innovation for the PlayStation brand, revealed the results of surveys conducted to gauge how gamers are using their Vita's, and how much they're enjoying them. On the enjoyment front, gamers like their Vitas. Eighty-six percent of Vita owners reported being satisfied with the portable, while ninety percent reported playing their Vita at least once a week. Most impressively, Vita owners were reported to be using the system an average of 18.7 hours a week. Perhaps more interesting, however, are the way consumers have buying games for the Vita. Almost a third of respondents said they were purchasing games digitally instead of physically. It's a stark contrast to a few short years ago when the PSP Go, Sony's foray into producing an all-digital handheld, fell flat on its face. Granted, the PSP Go was somewhat overpriced but many, at the time, including Sony, pointed to gamers simply not being ready to let go of physical media. The results of the survey beg the question of how Sony would fare in the present day if they were to try and release another digital-only handheld or console. The most positive news for Vita owners themselves, is the confirmation that 2013 will see a nice collection of game releases to help shore up the Vita's somewhat scant library. In addition to indie titles like Hotline Miami and Lone Survivor, Mesa confirmed that there would be more than a hundred games coming out for the Vita this year. There's no guarantee they'll all be good games, of course, but even a few quality titles would be a boost for the platform.